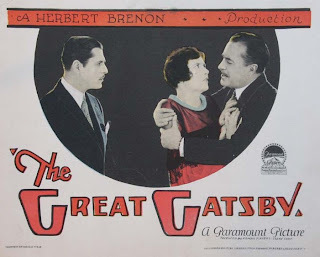 What makes the trailer so great is that the movie was basically made during the general period F. Scott Fitzgerald was writing about; which makes it an almost historical document. Like many silent films, most of the actual movie and film footage has been lost or deteriorated so badly as to be as good as gone; thankfully the trailer remains. 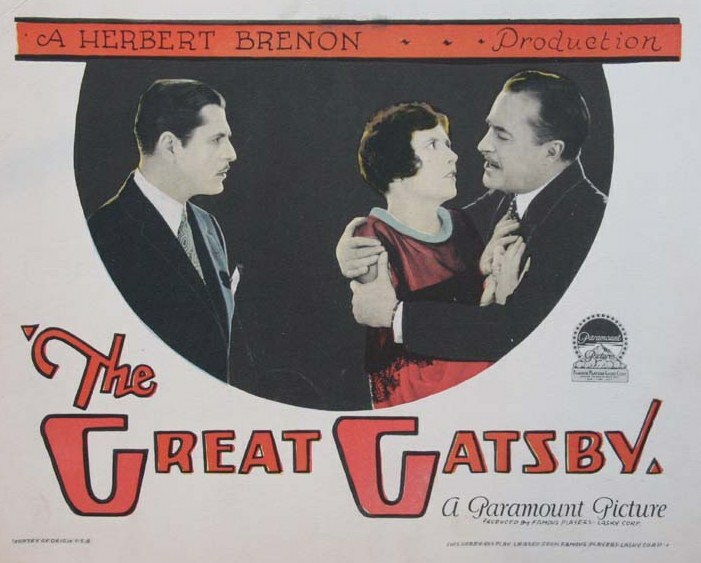 Directed by Herbert Brenon for Paramount, The Great Gatsby starred Warren Baxter in the title role with Lois Wilson (Daisy), Neil Hamilton (Nick Carroway), Georgia Hale (Myrtle) and William Powell as George Wilson. The /Film article reports the screenplay as being based on Owen Davis' stage play; IMDB credits the novel, and Elizabeth Meehan for the screenplay with a 'scenario' by Becky Gardiner. I'm not sure what constitutes a 'scenario' - any opinions out there? THAT Dapper Dan on the left is Warren Baxter; he played Gatsby in the movie. Thanks so much Louise! There are such great suggestions here; especially for anyone antsy to see the film. In fact I've never read Zelda's Save Me the Waltz so perhaps now is the time. I love that quote from Oscar Wilde "We are all in the gutter, but some of us are looking at the stars" Well said! I had no idea there was a silent film made in 1926. My gosh, that's quick work. it takes a few years to turn out a made-from-a-book film these days! Also, did I hear from you, or did I hear it from somewhere else that A Walk In the Woods is being made into a film by Robert Redford? I've got a post in my drafts but haven't published yet.